Ten years later he's engaged to be married; he's happy, and his past is only a tiny part his life now. Until he comes home from work and finds his new wife-to-be is sitting on their sofa. She's turning something over in her fingers, holding it up to the light. Something that would have no worth to anyone else, something only he and she would know about because his wife is the sister of his missing first love. As more and more questions are raised, their marriage becomes strained. Has his first love somehow come back to him after all this time? Or is the person who took her playing games with his mind? Behind Closed Doors was definitely one of the best books I have ever read, it was amazing so when I saw this one and the hashtag #forgetsleep I knew it wasn't even a choice about buying it. I had to have it. 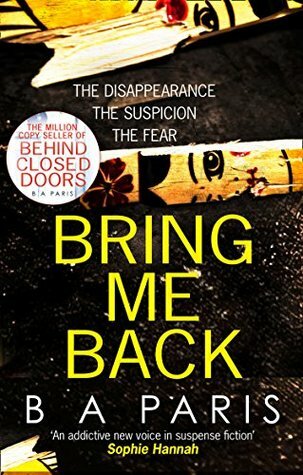 Bring Me Back is another brilliantly creepy read, we start the narrative meeting a young couple on holiday and when they stop for a break, The woman (Layla) disappears, The Man (Finn) tells the police everything he knows (mostly) but she is never seen again. Travel forward 10 years later and Finn is set to get married, his life has changed - yes he might not be with Layla, but Emma is a calming presence in his life, when he returns home one day to find Emma looking at something, something that would only make sense to him & Emma (Emma is Laylas Sister) questions start to be asked. Could Layla still be around. Told in different parts we are drawn in and start to ask the same questions as Finn - what is happening? Could Layla be back? I flew through this, and i found myself carrying the book round with me day to day to slot more reading time in. That being said, i didn't feel as strongly about this book as Behind Closed Doors, i loved this but in parts i found it lacking, and odd. Maybe it was the outcomes were not what i expected. 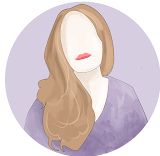 It was full of twists and turns and i felt i was reading so fast to get to the next sections to seek answers. So i agree with the #forgetsleep.